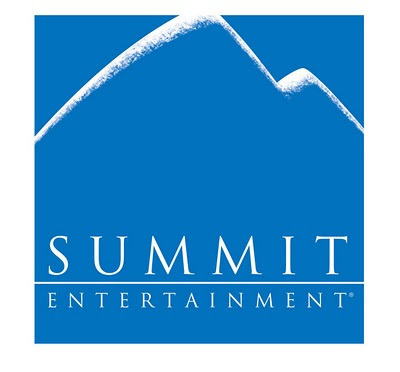 Summit Entertainment’s THE TWILIGHT SAGA: BREAKING DAWN will be filmed in both Baton Rouge, Louisiana and Vancouver [BC] over the next year starting this fall. The next chapter of THE TWILIGHT SAGA will be released as two separate films with the first of the two slated to be released in theatres on November 18, 2011. Academy Award® winner Bill Condon will direct both films starring Kristen Stewart, Robert Pattinson and Taylor Lautner along with Billy Burke as Charlie Swan as well as returning members of the Cullen Family including Peter Facinelli as Carlisle, Elizabeth Reaser as Esme, Jackson Rathbone as Jasper, Nikki Reed as Rosalie, Ashley Greene as Alice and Kellan Lutz as Emmett. The project, based on the fourth novel in author Stephenie Meyer’s Twilight series, is currently being written by Melissa Rosenberg with Wyck Godfrey, Karen Rosenfelt and Stephenie Meyer producing. 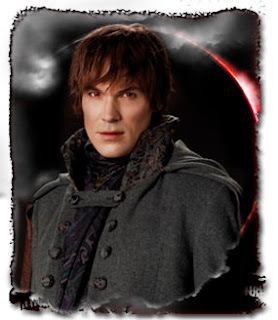 The third film in the franchise, THE TWILIGHT SAGA: ECLIPSE, is currently in theatres. The TWILIGHT SAGA film series stars Kristen Stewart and Robert Pattinson and tells the story of 17-year-old Bella Swan who moves to the small town of Forks, Washington to live with her father, and becomes drawn to Edward Cullen, a pale, mysterious classmate who seems determined to push her away. But neither can deny the attraction that pulls them together…even when Edward confides that he and his family are vampires. The action-packed, modern day vampire love story TWILIGHT, the first film in the series, was released in theatres on November 21, 2008 to a blockbuster reception. The second installment of the film franchise, THE TWILIGHT SAGA: NEW MOON was released November 20, 2009. The franchise has grossed over $1.4 billion in worldwide box office ticket sales to date. Once we hear any news about casting or casting directors involved in the project, we will post it here on the blog and send it to our Twihard newsletter subscribers. Sign up for the Twihard newsletter in the right sidebar of this blog! WE HAVE WINNERS for our "Eclipse" Advance Screening Contest! Congratulations to our winners Chrissy and Bobbi for being randomly chosen from all of the entries! 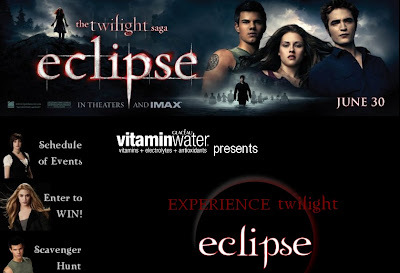 They have each won a pair of passes to vitaminwater‘s red carpet event and advance screening of “The Twilight Saga: Eclipse” on June 29th at Bridgeport Village, just outside Portland, Oregon. Their questions will also be answered at a Q & A featuring Lana and members of the local “Twilight” cast, including Solomon Trimble, Ayanna Berkshire, Trish Egan and Catherine Grimme! Didn’t win, but still have a burning question? Never fear! You can still submit your question through our online form. Meet vitaminwater at the Cullens’ table in the cafeteria and get an exclusive behind-the-scenes tour of Madison’s original set locations and movie props for the Forks High School cafeteria, Bella’s locker and the biology classroom. The “Edward Saves Bella” parking lot and alley in Old Town St. Helens (intersection of 2nd & St. Helens) on June 27th @ 12pm-2pm. Meet vitaminwater in the parking lot and check out original murals created by the “Twilight” crew. 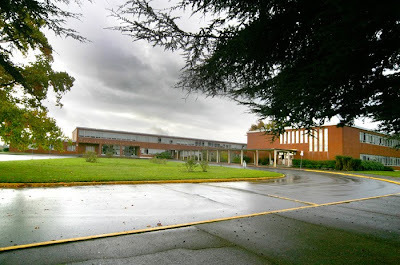 Then take the St. Helens walking tour to check out the original Swan House, Petite Jolie, and more. Can’t get enough of the “Twilight Saga?” Also check out the Experience Eclipse festival coming up in St. Helens, OR. 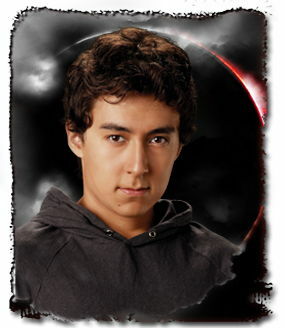 Go to http://experiencetwilight.com/eclipse for details! LAST CHANCE TO ENTER! DEADLINE 6:00 PM PDT TODAY! The wait just got shorter for some of you. 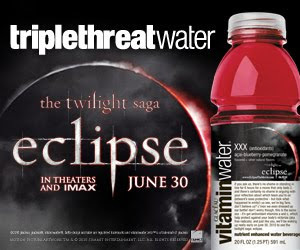 The official “Eclipse” release date is June 30th, but we have been given two pairs of tickets to vitaminwater‘s red carpet event and advance screening of “The Twilight Saga: Eclipse” on June 29th at Bridgeport Village, just outside Portland, Oregon. Lana and members of the local “Twilight” cast, including Solomon Trimble, Ayanna Berkshire, Trish Egan and Catherine Grimme, will be hanging out with vitaminwater and Z100 to answer all of your burning questions about “The Twilight Saga”! All you have to do is submit a “Twilight Saga”-themed question for the Q&A and you’ll be entered to win. NOTE: You must be a subscriber to our Twihard mailing list in order to participate in this contest. CLICK HERE to submit your question. If you’re not a current subscriber to our mailing list, you’ll be given the opportunity to join. Make sure to respond to the confirmation email to confirm your subscription, so that your entry will be eligible! Winner to be announced on June 22nd! 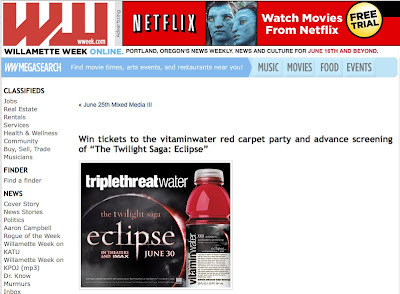 In case you missed our blog post the other day, we are giving away two pairs of tickets to the vitaminwater Eclipse sneak preview and red carpet event in Portland on June 29th. All you have to do is submit a “Twilight Saga”-themed question for Lana’s Q&A and you’ll be entered to win. Hurry! Winner will be announced on June 22nd. We just found out about another way to increase your odds of winning! Willamette Week is holding a fan fiction contest for tickets to the screening as well. Hope to see you there, along with Twilight cast members Solomon Trimble, Ayanna Berkshire, Trish Egan and Catherine Grimme. As the Phoenix New Times reports, you can catch Lana and several of the Twilight saga actors at Creation Entertainment’s Official Twilight Convention, this weekend in Phoenix, Arizona. Lana will be appearing on June 19th. If you’re there, tell her happy birthday! Imagine hundreds of pre-teens in thick black mascara, fake fangs and themed t-shirts (plus a few out of place soccer moms) crowding together in one place to see the supporting actors in the film version of a bestselling book about sparkly vampires written by a Mormon mom from Arizona. Yeah, a few years ago we would’ve laughed at that suggestion. Now we’re sure it’s exactly the scene that will play out at this weekend’s Official Twilight Convention, which starts this Friday, June 18 at 2 p.m. following registration. 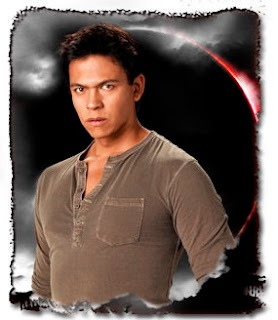 The three-day event promises Twilight/New Moon/Eclipse discussion panels, celebrity autograph signings, quizzes, merchandise and even breakfast with The Wolf Pack if you spring the extra dough for it. Which celebs will be there this year? Win tickets to sneak preview of Eclipse! A little bird just told us that we may be getting a few passes to an exclusive sneak preview screening of ECLIPSE in Portland! We will be holding a contest to give them away, but you must be on our Twihard mailing list to participate, so if you’re not, be sure to enter your email address in the box in the right sidebar of this blog and confirm subscription when you receive the opt-in email! WE HAVE A WINNER for our Twilight Moms Contest! Congratulations to Liz in New York for being randomly chosen as the winner! 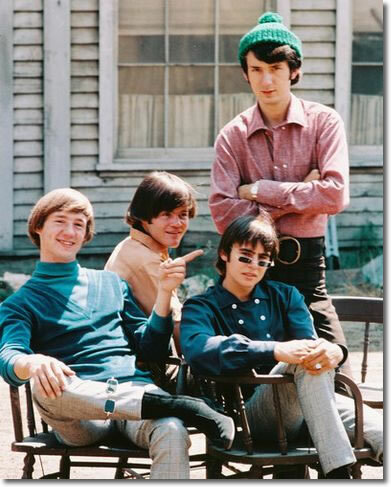 I was 12 when The Monkees first appeared on TV. The only way my interest affected my life was to introduce me to friends I may never have met otherwise… I have a friend who lives in Oklahoma. We met at a Monkees convention in 1986 and have remained friends ever since. She will be visiting me this summer! Do you have stories about how your love for a band, book, movie, actor, director, musician or activist has affected your life? Share it in the comments! Those of you who have been following this blog for a while know how we feel around here about casting scams, especially those that target kids. Most recently, we took issue with the unscrupulous companies that advertise casting calls for Breaking Dawn (the final installment of the Twilight saga) on the Internet or via email. After luring victims to create a web profile on a so-called “casting website,” they inform them that they can only find out about Breaking Dawn auditions if they upgrade to a paid subscription. Of course, the auditions are bogus, as no casting director has been hired yet to cast the film, and if she were, she wouldn’t advertise auditions on a paid website. Instead, she would find established, experienced actors through bona fide SAG-franchised talent agencies. Apparently, the problem is widespread, as our blog post got picked up by websites such as Access Hollywood and MSNBC. Well, a new Breaking Dawn casting scam was recently brought to our attention and we wanted to warn others, so they will recognize the difference between a real casting call and an attempt to fleece fans of their cash. Sorry to bother you as I am sure that you are busy. We had an ad on the a radio here in Calgary saying that if you text this number at this certain time, you would get a call to audition for the next Breaking Dawn movie at [nameless acting & modeling school]. Today they called and booked an audition time for my daughter on Saturday. I was just wondering if you knew anything about this or if it is just a scam to have people join [nameless acting & modeling school]? They said there was a casting director coming. Breaking Dawn is not casting yet. The film doesn’t go into production until the fall. No casting director has even been hired. Auditions for Breaking Dawn will not take place anywhere where classes are offered, nor will they take place in Calgary. The film is likely shooting in Vancouver, BC. A real casting company, not an acting and modeling school located in a shopping mall, will be hired to cast the actors. NOTE: Anytime a company that offers classes or photo portfolios also promotes itself as a talent agency or talent management company: Beware. Real industry professionals know that it is a conflict of interest to do both. Auditions for any real roles in the film will not be advertised on the radio. Actors will be hired through bona fide SAG-franchised talent agencies. (The extras casting company MAY hold an open casting call, but this won’t happen until the film goes into production this fall and actually hires an extras company. The qualification to audition for a film this huge is not one’s ability to send a text message. The casting directors want educated, established, experienced, professional actors. They don’t have time to waste on these kinds of games. Film is a high-pressure, fast-paced business and producers want only the crème de la crème. If you want to break into acting, get into the best acting class you can find and train, train, train. Don’t look around for silly shortcuts. Acting is hard work and very competitive. Who in the Forks is this casting director? This acting/modeling school claims that a casting director will be there, but since it can’t possibly be the CD of Breaking Dawn, who is it? And why are they claiming it’s an audition for Breaking Dawn? The film is not yet in production and no crew has been hired. SAG sponsored the legislation, working with the BBB, ATA, AFTRA, WGA, BizParentz.org and the City Attorney of Los Angeles. Hope this clears up a few things and saves people from falling for this or similar operations. 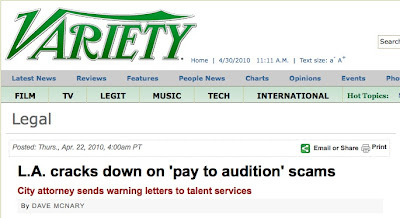 Below are some links to previous posts and articles on scams that target aspiring actors and models. Read up and be educated!